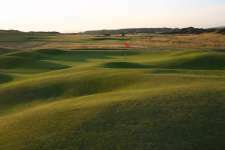 Birthplace of the Open Championship, the historic Prestwick Golf Club is one of the oldest along Scotland’s golf-rich West Coast. 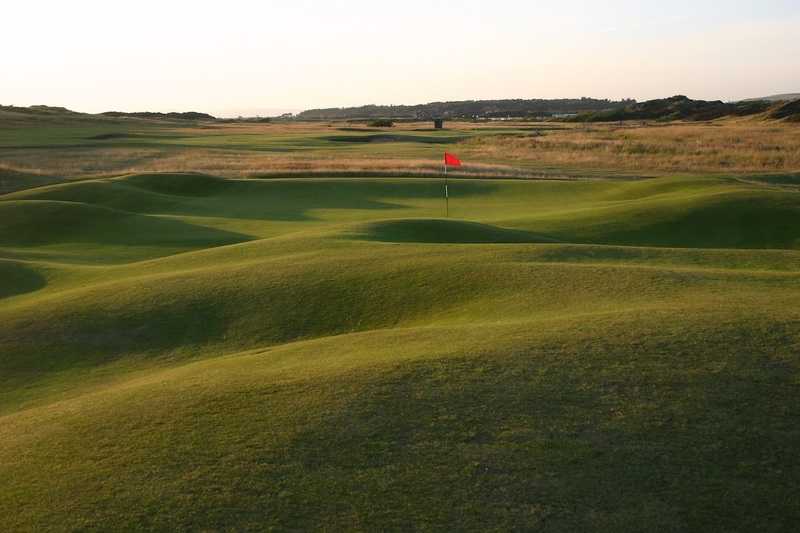 It was formed in 1851 when founding members managed to poach Old Tom Morris from St Andrews to create its first course and then convinced him to remain on as clubmaker and head greenkeeper. Morris’ course was a twelve-hole links on tight terrain, sandwiched between the club’s present southern boundary and a stone wall beside its 3rd green. His holes zigzagged around dense dunes and crossed in and out of deep dells with most of the approach play blind and dangerous. 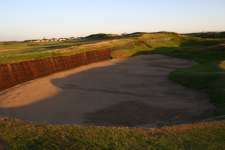 Despite its shortcomings the course hosted the first twelve ‘British’ Opens and provided the framework for the full eighteen-hole layout which was created in 1883. 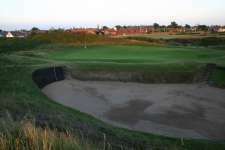 Though only the famous Alps hole resembles any of the original twelve, several iconic features were retained including the massive Cardinal and Sahara bunkers as well as at least seven greens. 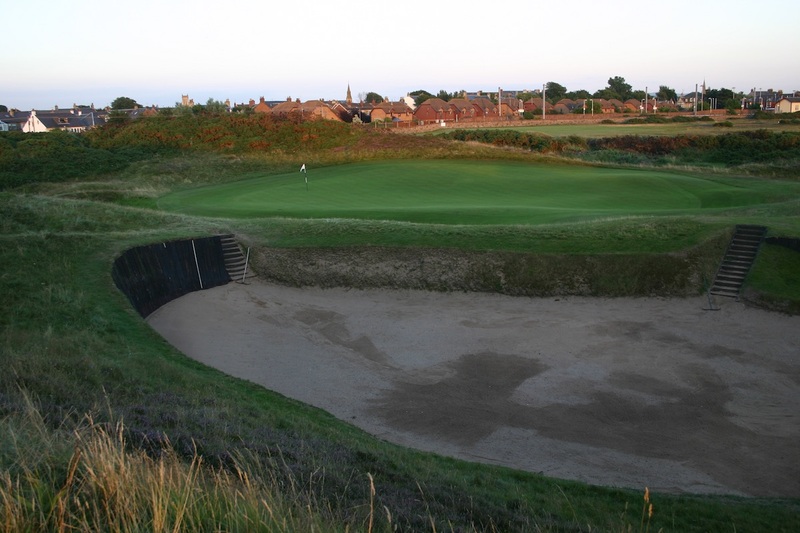 Prestwick later fell from the Open Rota because of problems handling the championships increasing crowds, but its full course was an immediate success and remains one of the quirkiest and most enjoyable links on the planet. Although its appearance is somewhat unconventional, the course does provide a very conventional links examination. 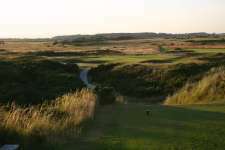 It has firm fescue fairways, deep revetted bunkers, thick punishing rough areas and a number of blind shots played over large hills to mysterious target areas. These are often small and either set down in the original Morris hollows or built up on plateaus. 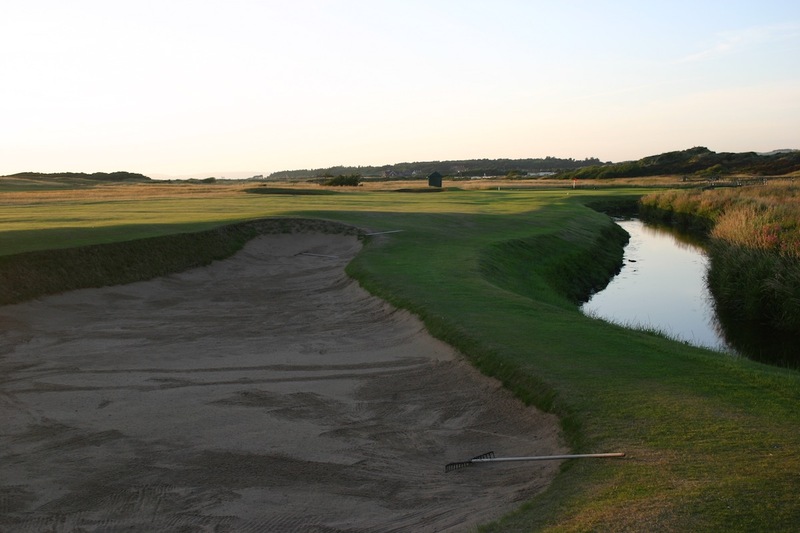 Interestingly some of the surviving 1851 greens, such as 13 and 15, were originally played from a different angle and, almost inconceivably, were left unaltered when the course expanded meaning they now cruelly slant away as you play your approach. For first-timers Prestwick can be a puzzling maze, as confusing to navigate around as it is difficult to master. There are almost too many highlights to mention but several ‘only in Scotland’ type holes standout. The opening par four, for instance, is best tackled with a mid-iron from the tee, while the par three Himalayas (5) is totally blind over a huge sandhill. The Alps (17) hole has a thrilling approach first across another mountainous hill and then beyond the hidden Sahara bunker into its blind bowl. Most unusual though is the 15th, which heads into a narrow and heavily bunkered valley and then demands an impossibly delicate pitch across a crest to a green falling sharply away from play. More conventional is the strategic par four 4th, which bends around Pow Burn to a green tilted toward the water and favoring those driving close to the hazard. 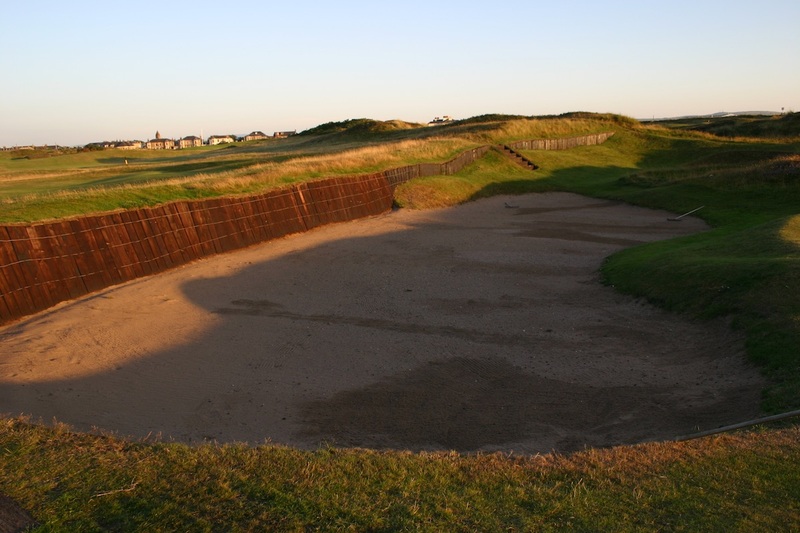 It is an excellent test as is the Cardinal hole (3), notorious for its massive sleeper-faced bunker but with an underrated final third played over some of the humpiest turf in Scotland with all sorts of approach shot options. Prestwick’s great strength is not the quirkiness of its hidden bunkers or the one-off nature of holes like 1, 5 and 15 but instead the genuine all-world quality of moments like the approach into 3, 4 and 17, the strong stretch of two-shot holes from the 6th and the crazed challenge of hitting into and then chipping around nasty targets like 7, 13 and 15. Aside from the blind shots and cruel greens the most common gripe with Prestwick is its seemingly soft finish, though both the drivable 16th and 18th are pivotal swing holes in a close match with cleverly contoured greens that can punish those pushing too hard for closing birdies. 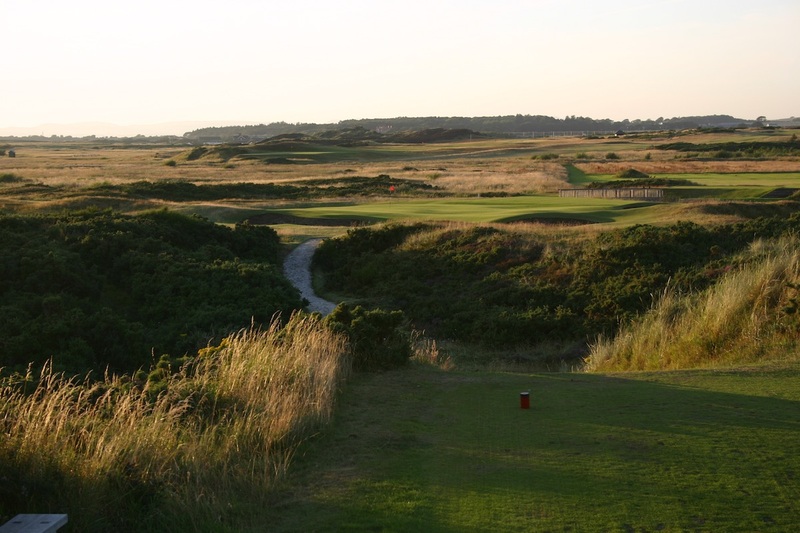 Eccentric and at times confusing, if you can look past its odd spots and appreciate Prestwick for what it represents, then you may just walk away from a round here with a new perspective on your passion. Indeed if I had to pick one course to play out my days on, this may well be it. Not because it is appealing and challenging to players of all ages and abilities, but because for even the longest serving member there remains at Prestwick more putts, pitches, stances and situations left unseen than on any other course I know. In every sense this is a links one could not possibly tire of playing.